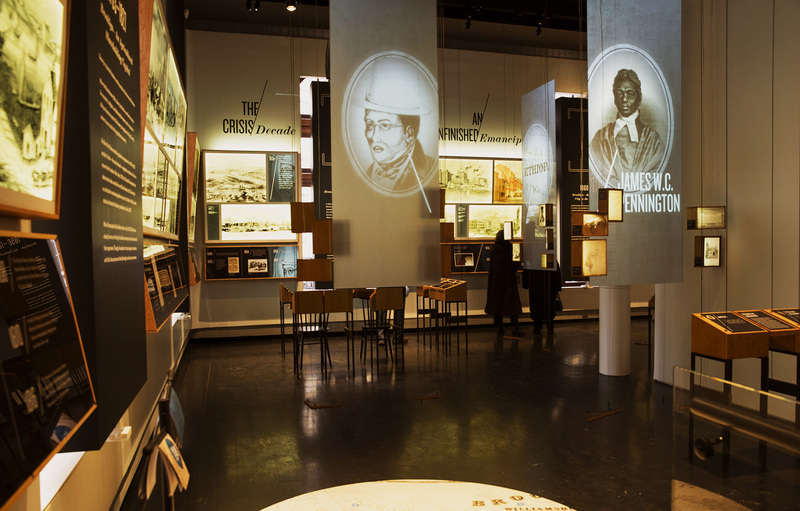 In Pursuit of Freedom is a permanent, interactive exhibit at the Brooklyn Historical Society. 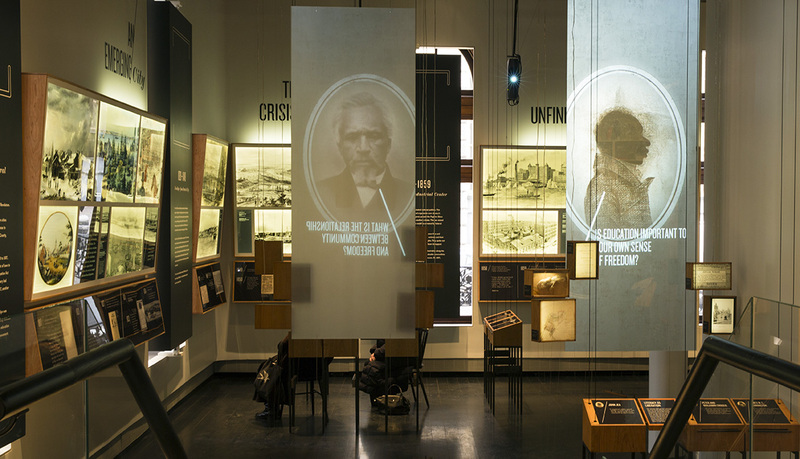 It narrates the untold stories of important abolitionists via images (or lack thereof), illuminated artifacts and text to reveal relevant contemporary questions. 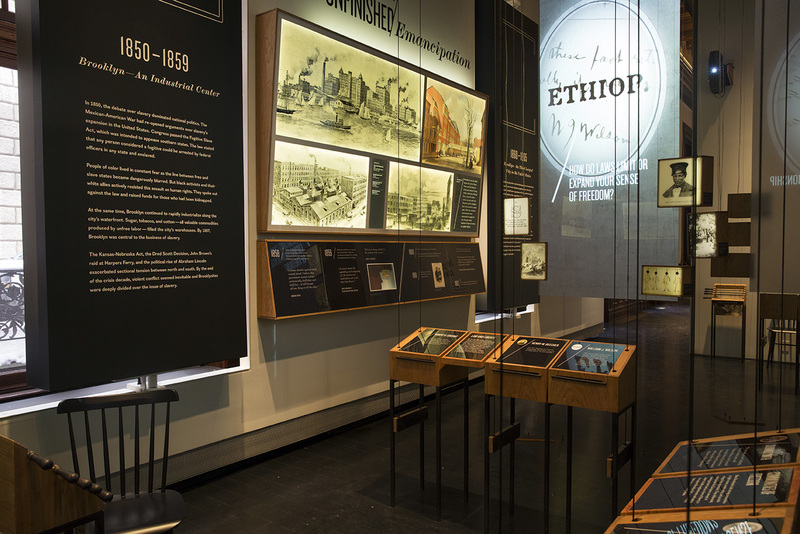 The experience is comprised of four sections each dedicated to the stories of 3 activists. 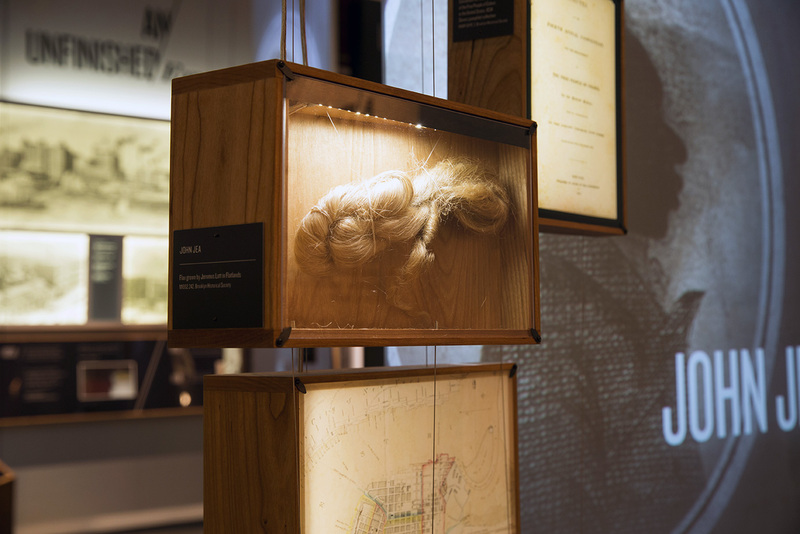 Each section contains a suspended, 8 foot projection column, a pulley system to ‘scroll’ and suspended, light-boxed artifacts related to each story. Users can use the pulley system to ‘scroll’ through the story of each activist which also lights up the artifacts based on the narrative context. Each pulley uses an arcade spinner controller and custom hardware. The light-boxes are fitted with LED strips that are controlled via OSC routed through a lighting controller.